Egyptian Foreign Minister Sameh Shoukry discussed combating terrorism and dealing with regional supporters of terrorist organisations during talks with his Saudi counterpart Adel Al-Jubeir in Cairo on Tuesday. 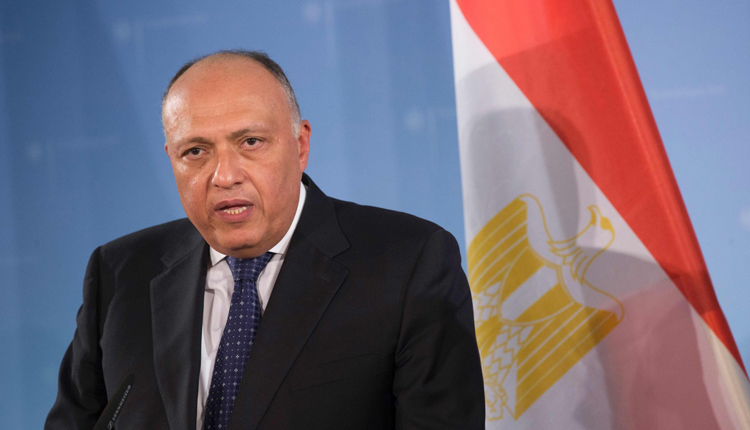 Shoukry urged “coordination between the two countries in the face of the dangers besetting the Arab region, namely external interference in Arab affairs and the aggravation of…terrorism and extremist ideology,” a statement by Egypt’s foreign ministry said. The Egyptian minister also called for working to “dry up sources of funding for terrorist groups and dealing with regional parties supporting them,” the statement added, without elaborating. Egypt, Saudi Arabia, Bahrain and the UAE severed diplomatic and transport links with Doha in June 2017, accusing the oil-rich state of supporting terrorism and meddling in their internal affairs, sparking the region’s worst diplomatic dispute in years. Doha denies that charge leveled against it and says the boycott is an attempt to curtail its sovereignty. Shoukry also met Tuesday with his Kuwaiti counterpart Sheikh Sabah Khaled al-Sabah. The pair discussed “promoting joint Arab action, confronting external interference in Arab affairs, and ways to unite Arabs,” the Egyptian foreign ministry said in a separate statement.